From harvesting in Costa Rica's Central and Western Valley's Mountains to the Gorgorous Beaches. This coffee scrub and mask is a must have! This product not only contains coffee made in Costa Rica but fresh coconut oil that was extracted from Costa Rica's finest Coconut Trees. 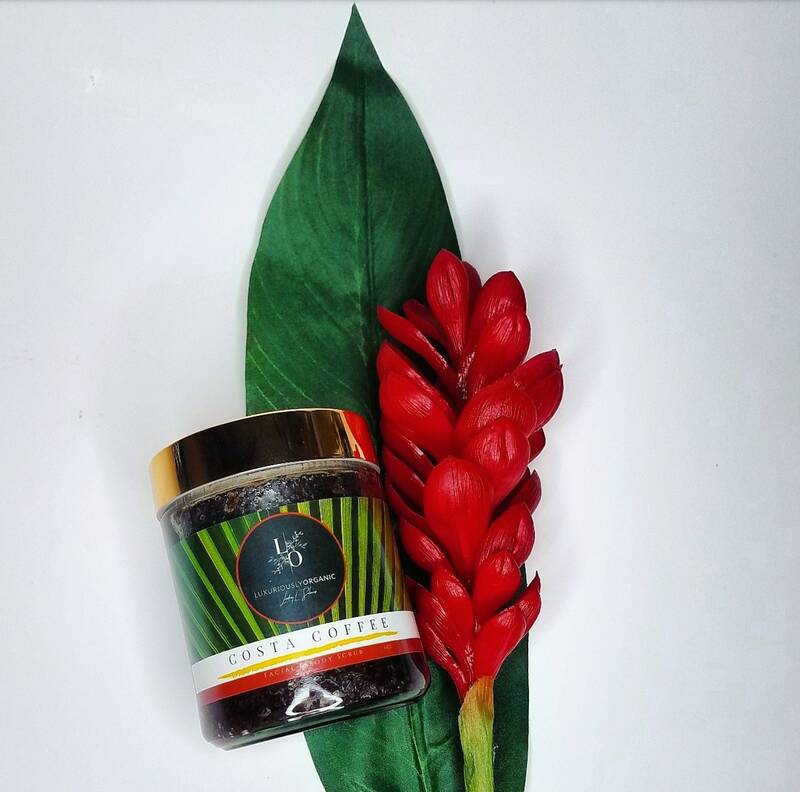 Benefits: Excellent Skin Exfoliator, Nourishes Skin Deeply, Prevents Dryness, Skin Brightening & Firming, Reduces Cellulite, Stretchmarks, Helps Heal Skin Conditions such as Acne, Eczema, Polaris, Rosacea, Repairs UV Damage, and also gives your skin an Energy Boost! - Note: Product is BEST when kept dry, no water.